Judith Fine-Sarchielli, * The Iconic Renaissance Woman: Transitional Marketing for Creative Entrepreneurs, is the founder and owner of a unique marketing and coaching business where she shares her knowledge and resources about creative marketing, life stories, and Tuscan gluten-free cuisine to promote her clients’ transformation. Judith is an intuitive, vibrational educator, author, mentor, food activist, and citizen journalist. 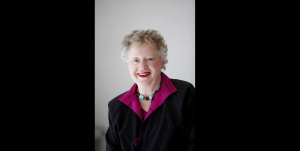 She is certified as both a Vision Board Coach and Transactional Analysis Practitioner. Judith was nominated for the San Fernando Business Journal’s “Women who Mean Business Award. Most recent interview with Marie Grace Berg, Founder/Podcast Host at Today’s Leading Women. Judith lived in Tuscany for twenty years and is a Gluten-Free Tuscan-style chef, cooking instructor, author, and designer. She was the first person in the US to initiate cooking classes at Whole Foods Market, where she designed their first cooking school, was their first in-store gluten customer consultant. She has taught cuisine for Sur La Table, Williams Sonoma, University of Denver, The Denver Botanic Gardens, and private homes in Tuscany, California and Colorado. Judith has always been a Hyphenate, a role Webster defines as “a person who does many things at the same time.” She uses her integrative and intuitive energy tools to teach people how to create and manifest their dreams and goals and improve their health with ease and fun through one-to-one, personal, and group sessions. Judith has taught cooking for over thirty years, and now combines the g-f diet with the Paleo Diet. She has written an about- to-be-published cookbook-memoir, Tales of A Gluten-Free Gypsy, about the dangers of the gluten-free diet fad, that includes traditional Tuscan recipes translated to gluten-free. Judith lives in a Topanga Canyon, California, in a tree-house-like studio and enjoys the coyotes, owls, mountain lions, and an occasional rattlesnake on her hikes. She is also the proud grandmother of four-year old Bianca Sequoia Sola Sarchielli. 1. BSO: You are the Founder of Iconic Renaissance Woman-Marketing for Creative Entrepreneurs and the author of “Tales of a Gluten-Free Gypsy”. Please share with us your path to these roles. JFS: My path has been an adventurous one with an amazing variety of twists and turns. My parents gave me art lessons at age three at the Denver Art Museum and, by the time I was eight, I was determined to go to Paris to study art. I went to eight different colleges and, in the middle of my junior year, made it to Paris, where I studied art and French. On a side trip to Italy, I fell in love with a Florentine man. I returned to the states after a year abroad, graduated from art school, and moved to New York, where I worked as a junior editor in book, magazine, and record publishing. Due to a series of unexpected incidents, I ended up marrying my Florentine lover and moved to Italy, where I acted small character roles in films with directors such as Fellini and Mike Nichols and also in avant-garde and feminist theater in Rome. I became a mother of a son, and worked as a macrobiotic chef in an exclusive macrobiotic restaurant in Rome. Then, I became a fashion designer for one of the most elite boutiques in Rome that catered to actresses and models. At the same time, I joined a small radical feminist group who brought internationally known feminists to Rome, altered the Italian divorce and abortion laws, and produced an acclaimed film and play. When my father called to say my mother was dying of cancer, I got on the next plane to Denver, helped her transition, and eventually brought my son there. I did a few part-time jobs at the same time as a single mother. I taught French and art at a private school, cleaned houses, became a caterer, continued fashion design, and sold my designs to six top stores in NYC in one day. I also studied computer software and pattern design. Also, I started the first of three years of the Colorado Women’s Festival and began therapy. At the same time, I was a temp for international corporations in their marketing departments. My last assignment was with the international marketing department at IBM in San Francisco. During the same period, I also taught cooking for Sur la Table there. I then moved to LA to be with my son as I didn’t feel safe traveling during 911. In LA,I was hired to design a teaching/working kitchen for a French company, and when their LA office closed, was hired by Whole Foods Market in the San Fernando Valley. I developed their first cooking school and taught there for 3- ½ years. I was their first food consultant and researched the gluten issue for our clients. Whole Foods was not interested gluten at the time. I continued to teach cooking at Sur La Table and Williams Sonoma, Whole Foods Market, and to cater to elite private events. I began to write my book about gluten when I left Whole Foods. I decided I had been an entrepreneur for most of my working life, and after obtaining my certificates as a Transactional Analysis Practitioner, and a certified vision board teacher, I began coaching creative entrepreneurs on communication and the use of words in communicating with male and female brains. I emphasize the important of diet and healthy life style for the entrepreneurial life. I also studied The Book Yourself Solid marketing system and use that as well with my clients who want to grow their business and make a difference. I babysit my 3-1/2 year old granddaughter 24 + hours a week. JFS: On the days I babysit, I work from 9 am to 9:30 pm, 4 days a week. meditation, inspirational reading, gratitudes, forgivenesses, chakras, essential oils, yoga, breathing and medicine ball exercises. I scan my email and then break for breakfast. I answer emails and market research for new clients until 11:30 am. I break for lunch, read and take a short nap, follow up emails, do online research for new food info and inspiration, until 4 or 5 pm. Break for dinner, do some more coaching online and by phone, and walk for ½-hour. I turn off the computer at 8 pm unless I am coaching. Weekends, I sometimes see a friend and walk, go to a film, or out for lunch or dinner. 3. BSO: What was the best advice you received when you founded Iconic Renaissance Woman-Marketing for Creative Entrepreneurs ?? JFS: To work with creatives because I could understand their stories well and they would resonate with my ideas. My best tool is my instinct and imagination. I am also a very compassionate, Highly Sensitive Person (HSP),and understand people’s pain with ease. I work well with musicians, artists, actors, and writers. 4. BSO: What are your strategies for building awareness of your organization, short and long term? JFS: My best clients come through word of mouth. I don’t actively market very much as I don’t have time to add many more clients right now, due to babysitting. I am very low tech and go mainly on instinct. I have the right words to ask the right questions when I meet someone who might be a potential client. I also send potential clients I meet helpful hints and ideas and do brainstorming sessions about their challenges. The more I focus on them, the more likely people follow my lead. JFS: A computer laboratory project I developed with no funding for my son’s high school that won a best of state award. 7. BSO: What charitable causes are most meaningful to you and why? JFS: I am committed to the Organic Consumers Organization and Food Day because of my belief that we can heal the planet through healthy diet and food. Compassion and Choices allows individuals to choose the time and manner of their transition to the next level. 8. BSO: Who has been most influential toward your accomplishments, professional & personal ? JFS: My most recent therapists, Barbara Foley and Sharon Dunas. Both extremely creative, knowledgeable and caring experts. Also, my counselor for 25 years, Dr John Samuel Leiby. • Have fun with your work. Quit if it isn’t fun. Do something that engages you.